Ever wish you could experience Disneyland or Walt Disney World without all the crowds? Then maybe a trip to Hong Kong is in your future. That is only one of the blessings offered at Hong Kong Disneyland (HKDL). There are so many other reasons to come as well! 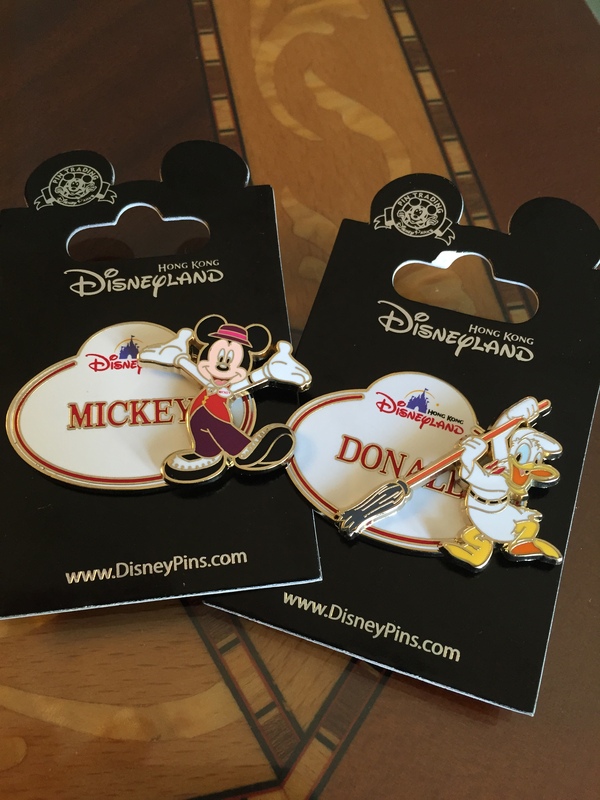 The beautiful (and I mean BEAUTIFUL) landscaping, the unique attractions, the delicious international cuisine, and the fun merchandise, all make this an ideal Disney vacation spot. Worried there might be a language barrier? That too is not a problem. Nearly everyone we spoke to knew English fluently and even the narration on the rides and the signage in the park are in English, making this a very friendly place to anyone who comes from the USA. That’s not to say there aren’t any crowds. All you have to do is walk by the queue for “The Many Adventures of Winnie the Pooh” or “Frozen Village” to realize its just that everyone is at these two attractions. Obviously, that’s not completely true although these are two of the most popular in the park. But you’ll be surprised to be able to nearly walk on to nearly every ride you want to experience. Even the most unique attractions in the park – Mystic Manor and Big Grizzly Mountain Runaway Mine Cars – had virtually no waiting line at all. When we went to watch the “Paint the Night” parade (the version at HKDL is the first one), we didn’t have a problem finding front row seats along the curb on Main Street with only 15 minutes until it started – and they only had one showing! It was definitely one of the highlights for me. Now granted, we came on probably the three least busy days of the week (Tuesday – Thursday) but during the summer at any of the parks in the states, you would see much bigger crowds than this. It was incredible. If you decide to stay on resort property, you’ll find that transportation to and from the park is incredibly easy. The buses are far more efficient and plentiful than Walt Disney World and even though the signs posted state they come every 10 minutes, we barely had to wait at all for one to arrive. Perhaps it’s different on the weekends when park attendance likely goes up, but we found it to be both reliable and quick. If you’re staying elsewhere in Hong Kong, you’ll find that transportation on the MTR (Mass Transit Railway) makes accessibility easy as well. The trains have a dedicated station directly to the resort from Sunny Bay and drop you off near the entrance. 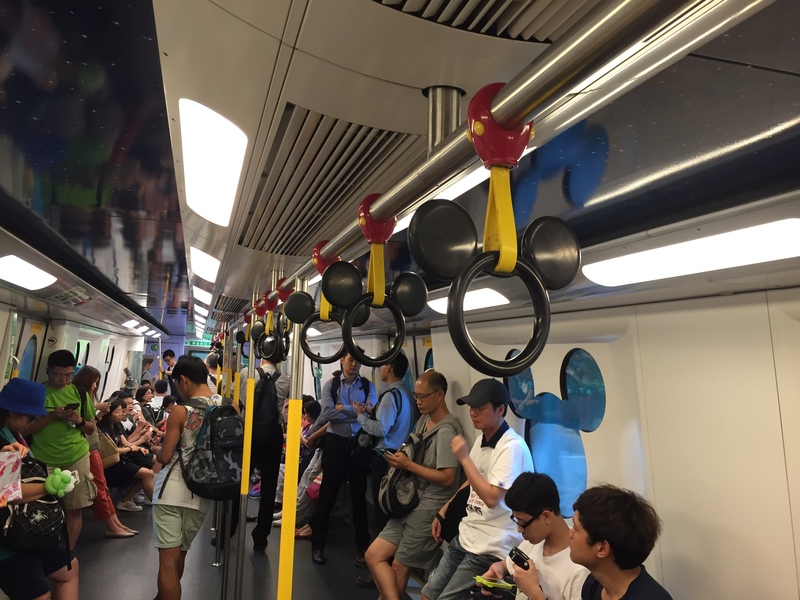 The trains themselves are incredibly clean, well-designed, and of course adopt that Disney flair. 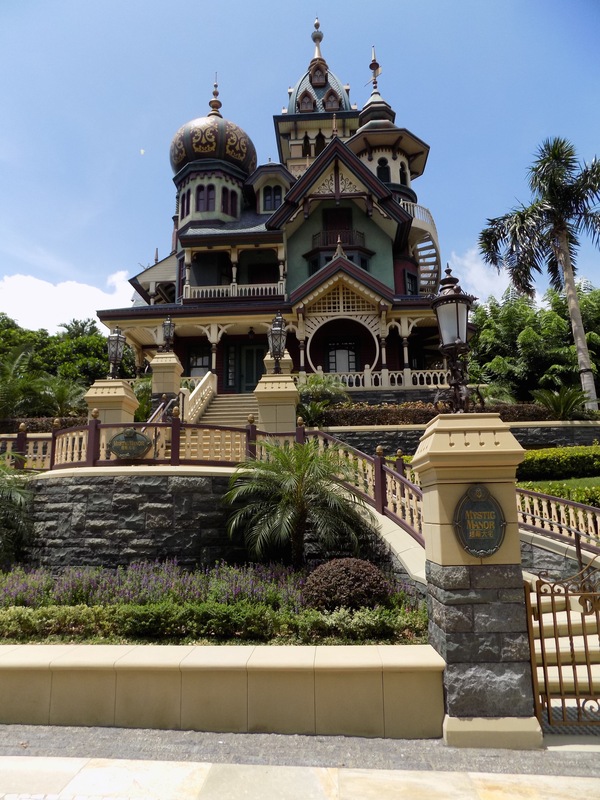 In future posts, I’ll delve deeper into the hotels, food, attractions and merchandise available in the park in more detail, but suffice it to say that the Hong Kong Disneyland experience is unique unto itself. While many of the attractions can be found in other parks, there are so many unique touches and so many different approaches to even familiar rides that it is certainly worth the trip. 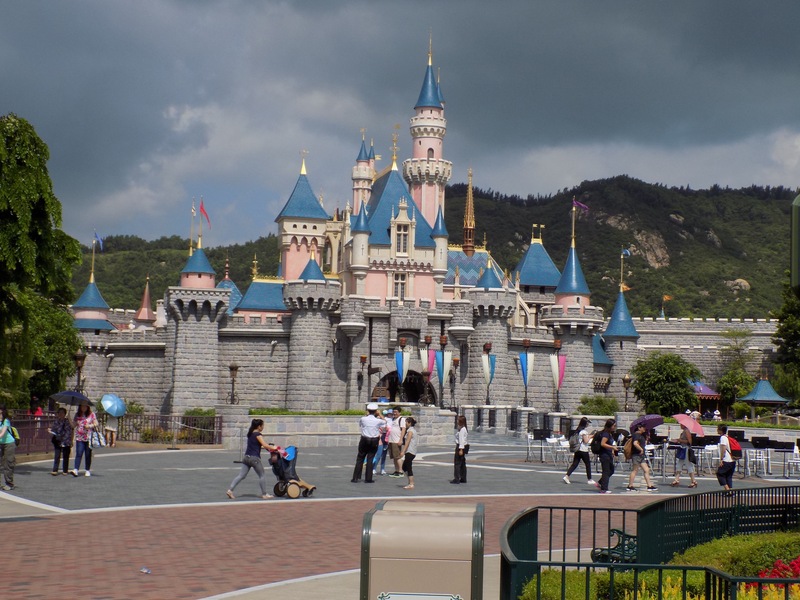 And when you add in the large selection of food available, the merchandise items you can only find in HKDL, and the experience of the hotels, as well as of course, Hong Kong itself, you’ll find plenty of reasons to come to this beautiful park.